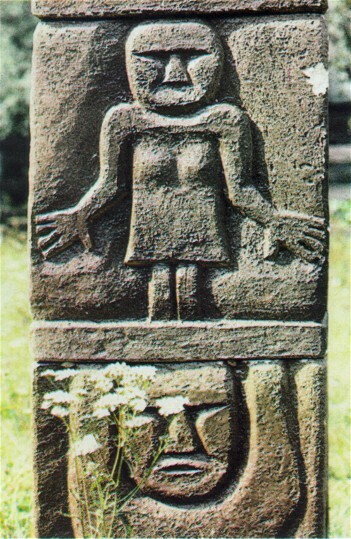 Zbruch idol (Zbrutskyi idol). (Photo: Zbruch idol.) 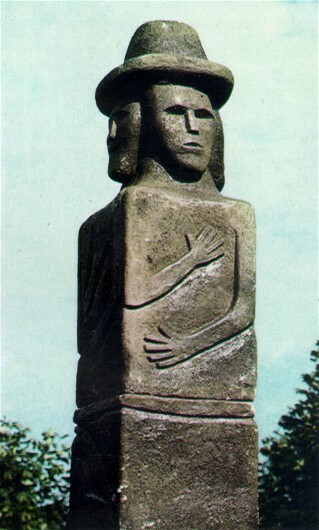 A stone statue of an ancient Slavic god (commonly believed to be Sviatovyt, the god of war) discovered in 1848 in the Zbruch River near Horodnytsia, Husiatyn raion, Ternopil oblast. 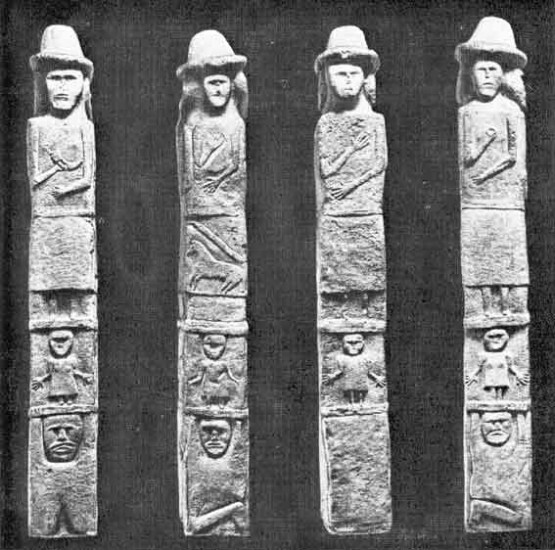 Erected in the 9th or early 10th century, this statue was probably thrown into the river after the Christianization of Ukraine. It is basically a tall square pillar standing on a small base (with a total height of approximately 2.7 m). 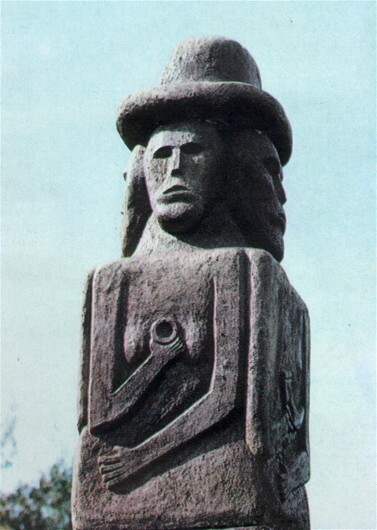 At the top of the structure are four facial images set in each cardinal direction and wearing a single noble-style Rus’ hat. On the sides are three layers of images that illustrate mythological beliefs of the time: the heavens with the (Slavic) gods living in them; the Earth inhabited by people; and an underworld dominated by evil forces. Since 1851 the idol has been in the Cracow Archeological Museum. Full-size replicas of it can be seen in the Historical Museum of Ukraine in Kyiv, Pereiaslav-Khmelnytskyi Historical Museum, and Moscow Historical Museum.